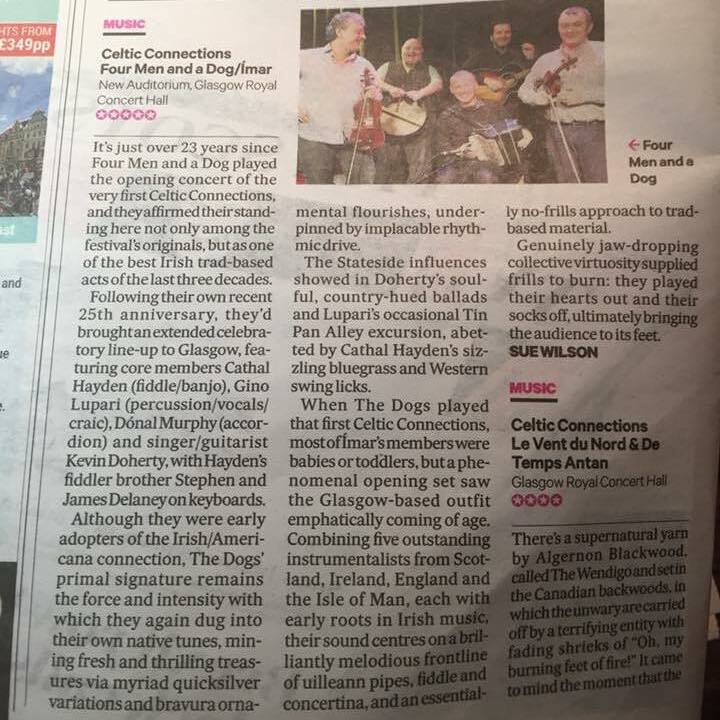 News Five stars for Celtic Connections gig! Opened the paper this morning to find that our first ever gig in Scotland at Celtic Connections managed to get a 5 Star ***** review in The Scotsman! !